From the far side of the world to just around the corner, It's Always Ohio. We’ve noticed, you’ve noticed, the whole midwest has noticed — It seems like tacos are taking over the food scene and that’s perfectly fine because we happen to love them. 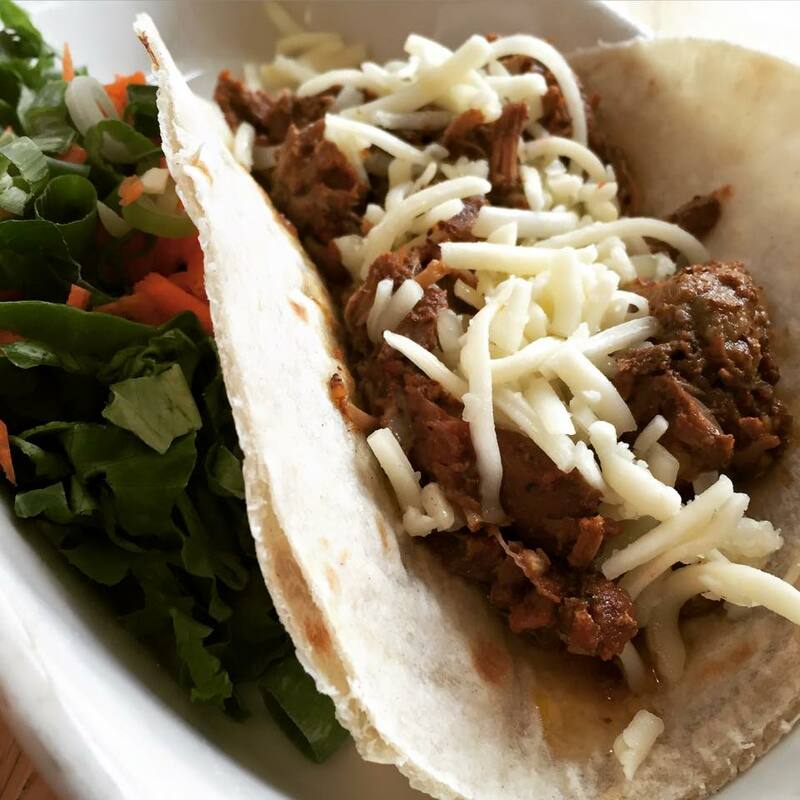 Sweet, salty, savory, fresh, cheesy, melty…folks are doing everything you can imagine in a corn tortilla these days. And with this delicious Mexican creation on the rise, we thought it’d only be fitting to give praise to these foldable morsels of heaven by etching out a list of our favorite tacos joints across Ohio. Taco Bell — Everywhere — Just kidding! Admit it, you just got so upset for a second. Okay, let’s get serious. Guerra’s Crazy Taco — Springfield — The gentleman behind this spot grows his own herbs and peppers and touts that “fresh” is of the utmost importance. You can certainly tell. 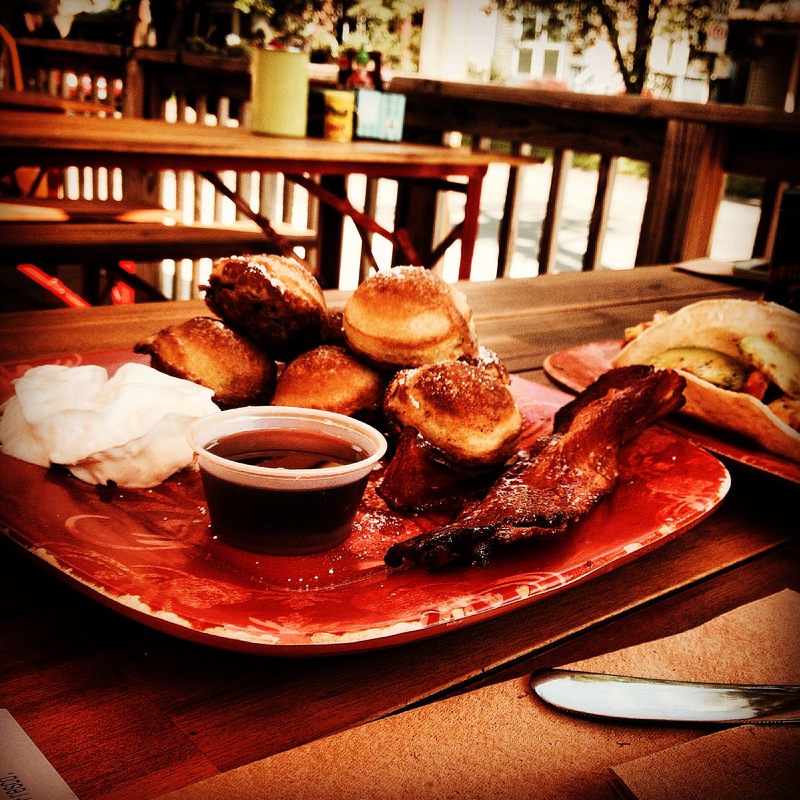 If you want to send your tastebuds on an epic journey, try the shrimp tacos or brisket smoked in house. Condado — Columbus — Two words, Bubba Kush. Don’t let the odd name fool you, just like the rest of the tacos on the menu here, it’s legit. It comes with a “Peezler” shell, which is a hard shell and soft shell combined, smoked cheddar, pulled pork, jicama, onions, pineapple salsa and jackfruit BBQ sauce. Try and recite that entire line without getting all slobbery…impossible. They also have a location in Pittsburgh, but we don’t care about that. OH Taco — Sandusky — Oh, so you want a view of the Great Lakes while you’re munching on a delightful beer battered tilapia taco? Well look at that, we’ve found a place for you! 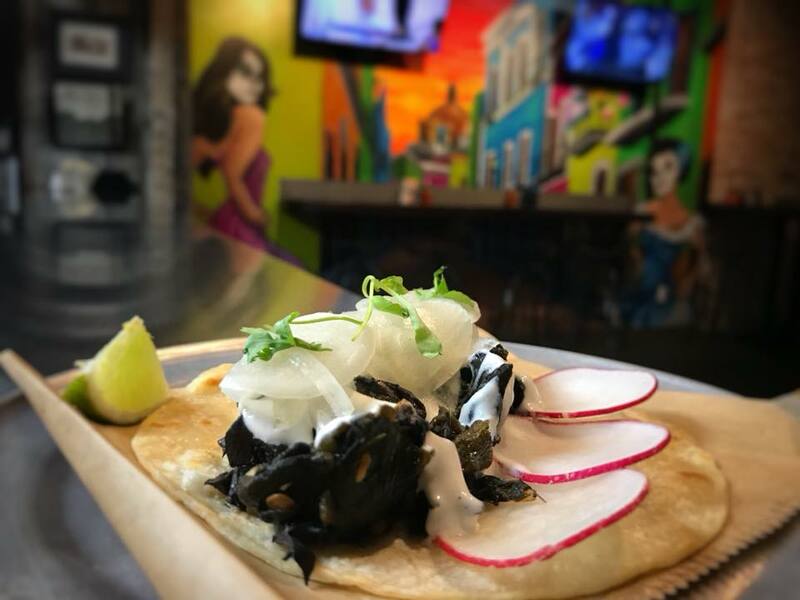 Albeit fairly new to the restaurant scene, OH Taco more than makes up for its young age with superb authentic Mexican street tacos and a unique atmosphere. Connected to the wonderful boutique-style Hotel Kilbourne and its lobby bar dubbed Moseley’s, patrons here have more than enough choices of venue to go around. Vegetarian? Try the portabello taco with fire roasted poblano peppers for an explosion of south of the border flavor. Did we mention there’s a rooftop bar, too? Momocho — Cleveland — With one in Lakewood and one in Ohio City, east side Clevelanders have it good…really good. 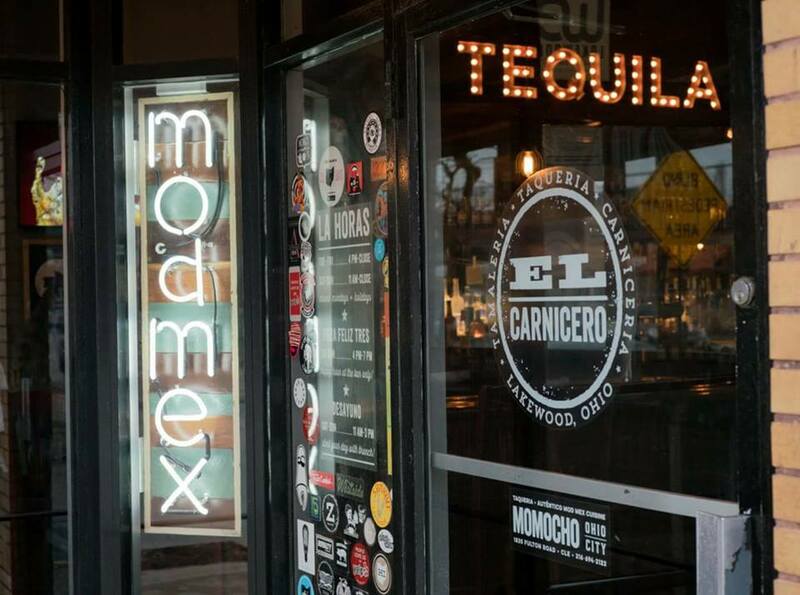 This funky spot focuses on “Mod Mex” cuisine and does it well, and the particular part of that culinary style we’re interested in is the taquitos, or rolled tacos. 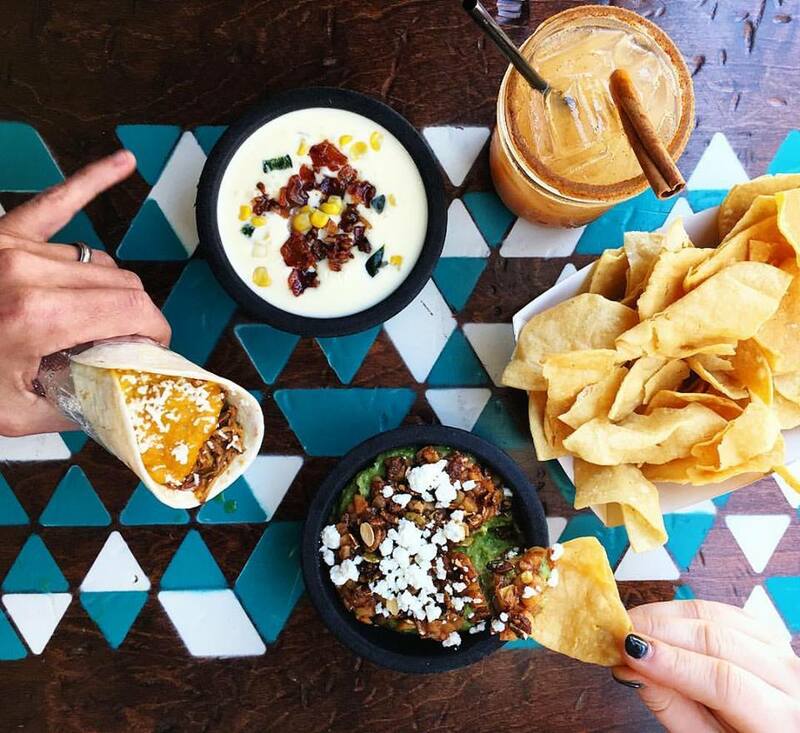 All taquitos come with five soft corn tortillas, whether it’s the outrageously tasty coffee + chili ancho braised brisket or the beef tongue pastrami. Worried about that second one? Don’t be, it’s so good it’ll make you forget you’re eating tongue. Wash it all down with one of their signature flavored margaritas — We like to go for the Red Bell Pepper. 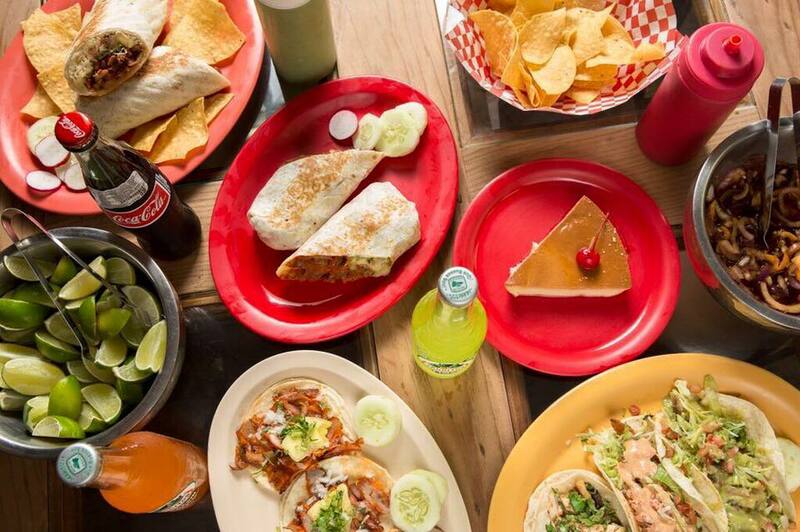 Los Gauchos — Columbus — If you’re lucky enough to have already happened upon this local’s spot, then you also already know that the taco el pastor here is northing short of life changing. And if you haven’t found this place yet, go. Go now! A perfect combination of slow-cooked marinated pork, cilantro, pineapple and onions served on two soft corn tortillas…you can’t see it, but the “s” on our keyboard has a little bit of drool on it. 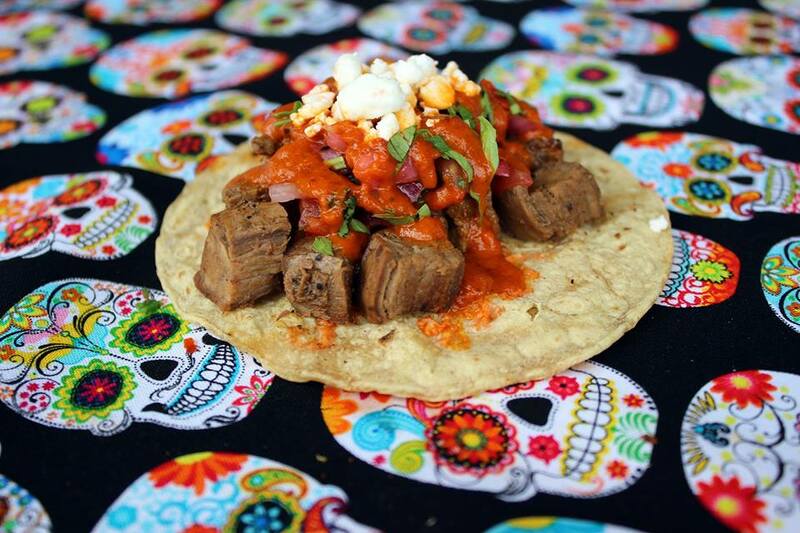 Los Guachos has two locations, one in Columbus and another in Gahanna. Mazunta — Cincinnati — Steak? Fish? Pork? 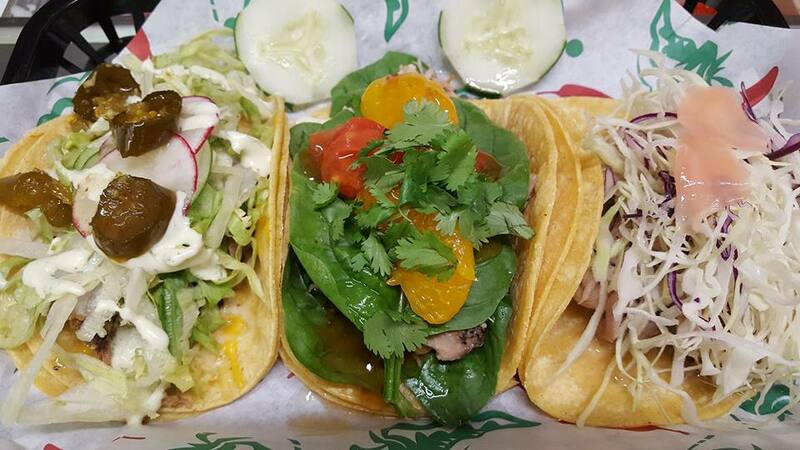 It really doesn’t matter what taco you decide to have at this place, they’re all melt-in-your-mouth good. Just for extra measure though, try the pork tacos served with cotija cheese…absolutely ridiculous. This small joint has a beach vibe that’s unlike anything you’ve most likely seen in the states and really makes you feel like you’ve been transported to Oaxaca. On top of all of the goods, prices are very affordable. Make sure to try the horchata, fresh chips and salsa bar as well. You know what? Try everything, you won’t be disappointed. Casa Nueva Restaurant & Cantina — Athens — It’s true we have a soft spot of Athens and Casa falls right in line with what’s so good about this little southern Ohio town. It’s just different. Different and spectacular. Owned by the workers, the foundation of this restaurant is vastly different from most — Want to leave a tip? They’ll take it, but instead of going in their pocket, it will be donated to a local Athens organization. Make sure you come hungry though because the food here is abundant and the tacos are usually large. Also, keep the number of margaritas you have to a few, as they’re not your average. Wink, wink, they’re strong. If you can swing it, stop in on a Wednesday, order the puerco pibil and then watch everyone look at you like you’re a local. Have a favorite taco spot you think should be on this list? Let us know in the comment section below! These circular, sometimes square or rectangular cheesy pies from heaven are what we imagine the ancient Greek gods would eat. Or wait, maybe Italian gods. You understand what we’re getting at. Pizza is life, which is why we’re here to give you our suggestions when it comes to finding this wonderful sustenance in the state of Ohio. Cameo Pizza – Sandusky – Family owned and operated since 1936, this iconic Sandusky, Ohio establishment has been making pizza their way for a long, long time. Talk to anyone from this boating town about pizza and you’ll immediately be inundated about why pizza should be cut in strips and not triangles — That’s Cameo’s doing. 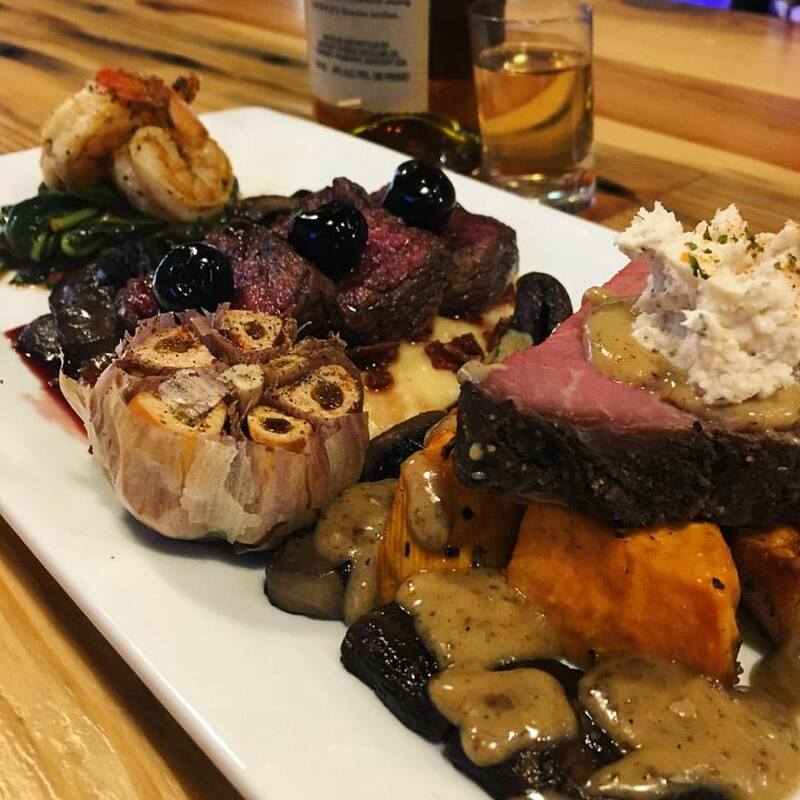 Recently updated with an outdoor patio, new front facade and upstairs area called TopSide, Cameo is truly a staple on the north coast. Whether you’re riding rollercoasters at Cedar Point, island hopping or just cruising around Sandusky, it’s a must-visit. Need a place to stay? Check out one of our favorites, the rooftop-bar-equipped Hotel Kilbourne. 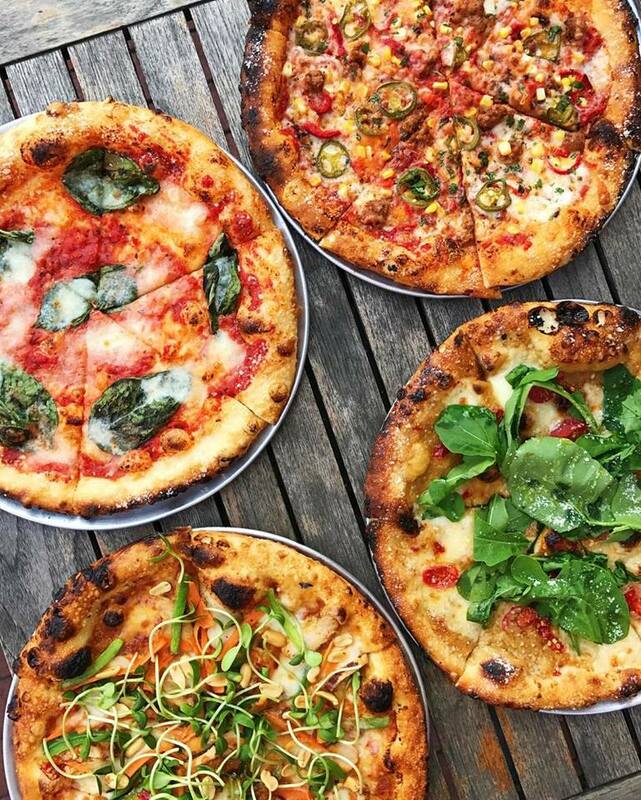 Avalanche Pizza – Athens – Turn around and head far south to the home of Ohio University and you’ll find Avalanche Pizza, which is home to some phenomenal creations like the Veggie Garden and the K-2. Really want to go big? Try the pizza that won “Best Pizza in the USA” at the World Pizza Championship in Saggiamore, Italy — The Godzilla. Harvest Pizzaria – Columbus – While this operation has three spots all around Columbus, we’ve only tried Harvest right next to Curio, a high-end cocktail bar we also thoroughly enjoyed. Striving to use only the finest, locally sourced ingredients, Harvest puts out some unbelievably tasty pies. Somehow both crispy and chewy, yet thin enough to hold all of the toppings, their crust is the real deal — Almost positive you could eat it with zero toppings. Please however, add toppings. Three words: Ohio Double Bacon. 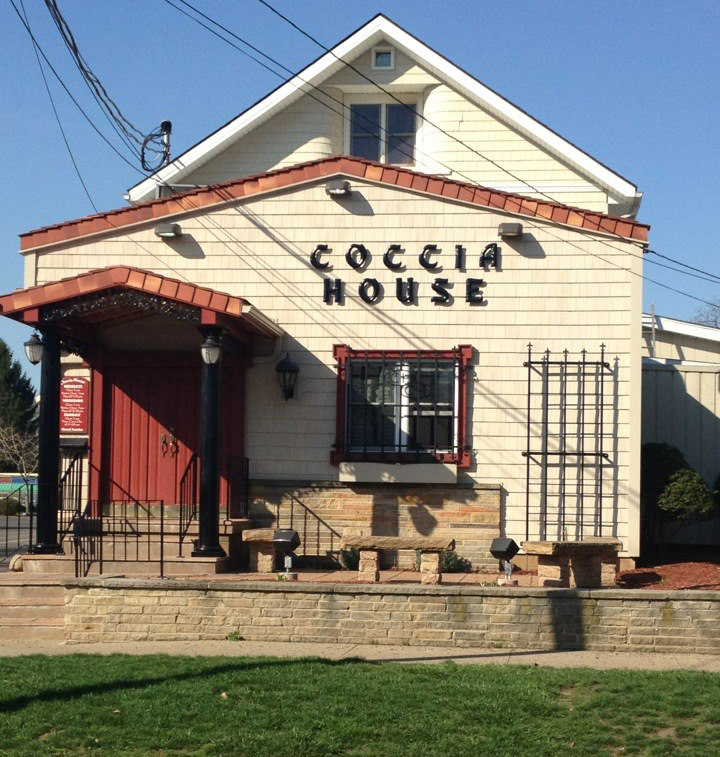 Coccia House – Wooster – Upon first glance, the Coccia House looks like a personal residence masquerading as a restaurant and that’s because, well, it is. Back in 1958, Domenica “Minnie” Coccia did just that, turned her home into an Italian restaurant. This old school gem, aside from a few additions, hasn’t changed much and that’s a great thing. Truth be told, this place is so cool that the pizza tasting fantastic was just a bonus — And if you don’t believe us, this stuff is so good, they have shipped it all over the world to places like Papa New Guinea and Iraq. Want to look like a Wooster local? Order the Pepperoni Bread that’s not on the menu. A Tavola – Cincinnati – This innovative, communal gathering spot meant to replicate an Italian Trattoria started in the Over-the-Rhine neighborhood and has since then expanded to the suburbs in Madeira, and that’s for good reason: This place is just cool. From the atmosphere and vibe to the thing that we’re here to talk about, pizza. I mean, the pizza oven apparently came from Naples, Italy, so there’s that. Do we even need to say more? Seriously though, it’s quite possible the best Neapolitan Thin Crust Pizza we’ve ever had, and that’s something. 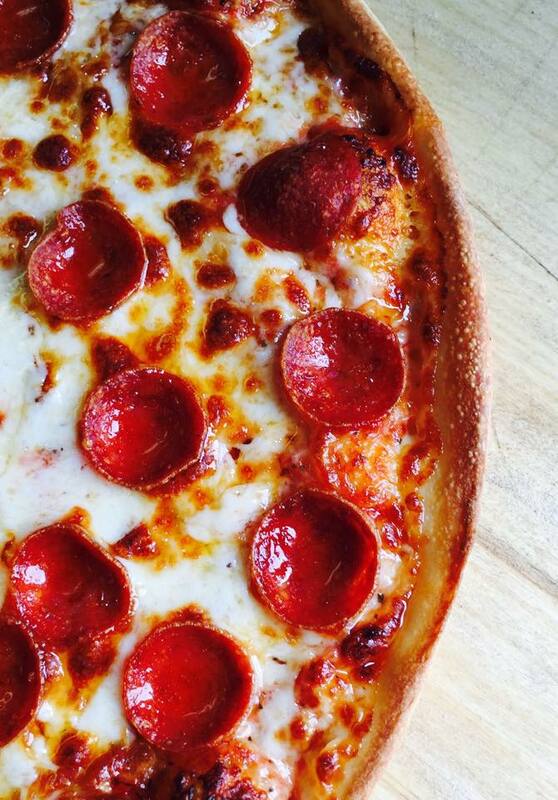 Frosty Bar – Put-in-Bay – There’s something about pizza on an island, we’ll admit that. 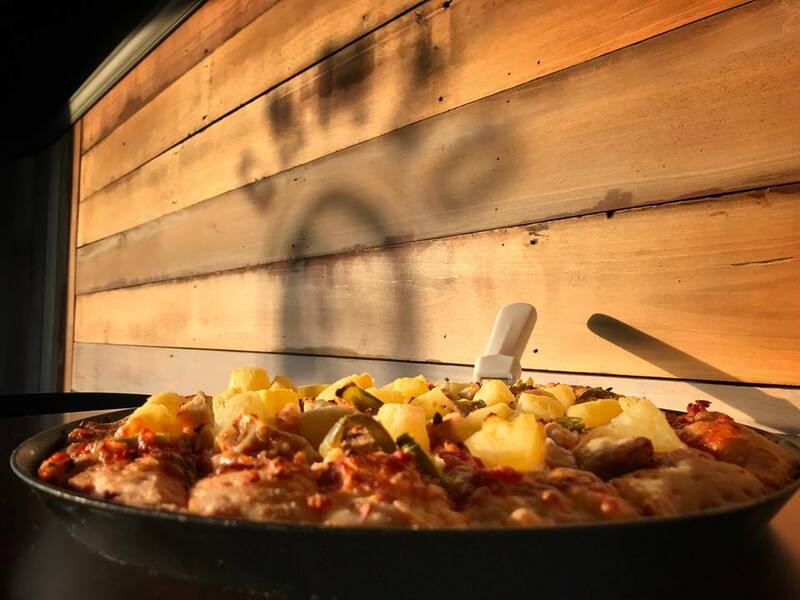 Simply, yet delicious, the pizza at Frosty Bar isn’t going to knock your socks off the first time you have it, but we’ll guarantee you’ll want more. Perhaps that’s partly because of our affinity for this island, but it’s mostly about the sweet, tomatoey goodness that’s stealthily hidden underneath a thick of layer of melty cheese. Is there better pizza around? Maybe. Is any of that pizza on Put-in-Bay? Probably not. Need to get over to the island on a budget? Check out the Miller Ferry where the R/T tickets are a mere $14. Scotti’s Italian Eatery – Cleveland – We’re going to keep this short, mainly because we’re still out of breath from attacking the Meat Lover’s pizza here. Ready for this? A huge piece of pie with pepperoni, ham, salami, bacon, chicken sausage, meatballs, house Italian sausage and ridiculously thin sheets of prosciutto. Game. Set. Match. 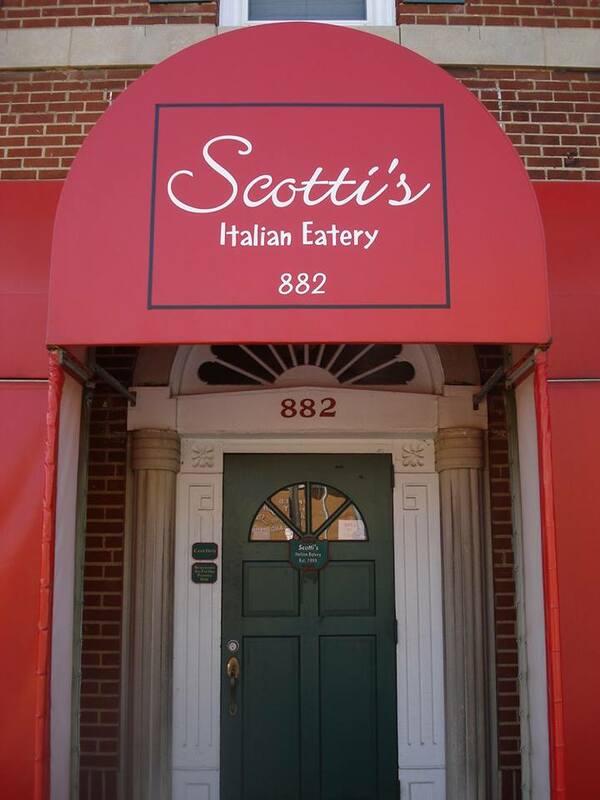 Scotti’s – 1. It’s Always Ohio – 0. 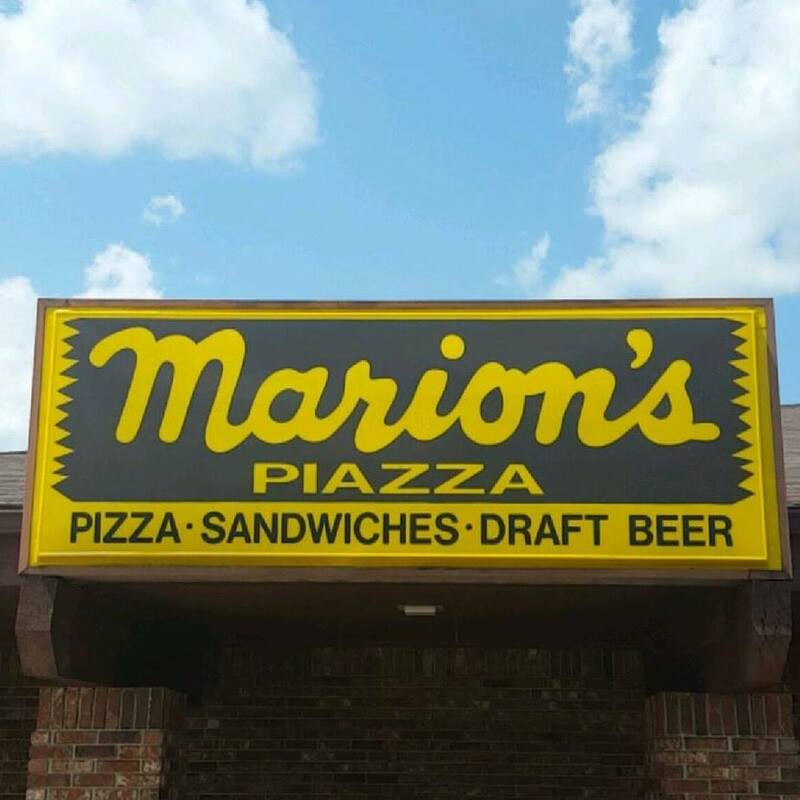 Marion’s Pizza – Dayton – For 52 years, Marion’s has been firing out delicious, handmade pizza. With nine locations, this Dayton staple has expanded, yet stayed true to its values by serving the same “Dayton-style” thin crust pizza that’s cut into squares, instead of slices. Lightly cheesed, heavy on the toppings and just the perfect sized square so that you can just keep popping them in your mouth. Feeling a bit wild? Try their Super Cheese…it’s exactly what you’re imagining. As we say, listing our favorites is always tough because there are so many choices out there. We could’ve easily thrown Bar Cento in Cleveland on there or even thrown a shout out to the legendary Myle’s Pizza in Bowling Green — R.I.P. Have a favorite pizza place in Ohio that you think is the best? Let us know! It’s pretty simple, you owe a lot to your mother. It’s not really up for debate, she was the one who created you — Literally. And that’s no offense to dad, because clearly he played a very important role, but let’s be honest…she had it a little bit tougher don’t you think? It’s for this reason among a litany of others that you should probably think about doing something special this Sunday. Luckily for all us Ohio residents, there’s no shortage of fun and unique things to do. While there’s way, way more than five, we’re going to give you just a few of the activities we like best. 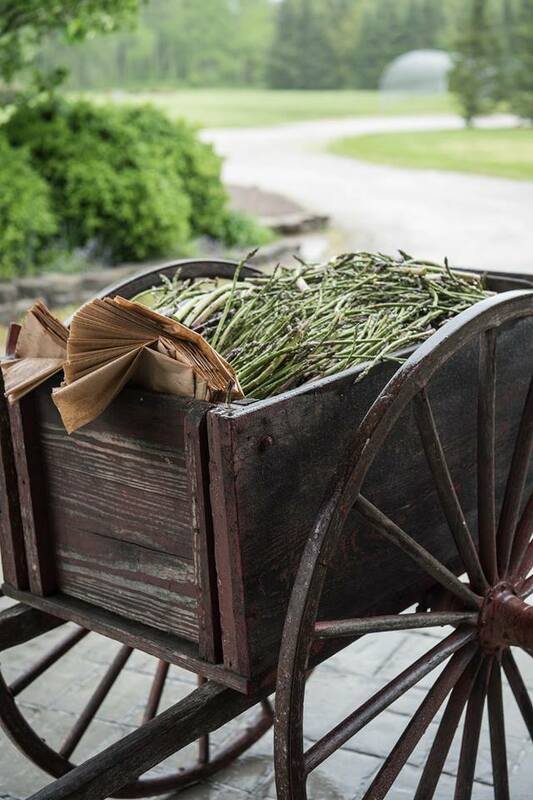 Annual Mother’s Day Tea at The Culinary Vegetable Institute — If you haven’t already been, Mother’s Day is the perfect excuse to visit this Ohio gem. Highly renowned chef’s from all over the world gather here to focus on how they can benefit from the unique, sustainable vegetables grown right here in Ohio. What’s that mean? Super tasty food is what we’re guessing and that’s awesome because mom loves food and when you take her to the serene setting of the Chef’s Garden, she’ll love you forever (Even though she already does). At the Mother’s Day Tea event you’ll sip on sumptuous tea while enjoying a lavish spread of decadent sweets and savory offering with a contemporary twist amidst a rustic, springtime decor. Enjoy! Take the Miller Ferry to Put-in-Bay for a Day — Our affinity for Put-in-Bay has already been well documented, which is precisely why we think you should take your mother there. She’ll not only appreciate a tasty lunch at the Reel Bar or maybe even a quick adult beverage at the Round House, but really enjoy the zen-like ride aboard the Miller Ferry on the way over. At about 20 minutes long, it’s the perfect time to chart your own course for the day and chat about how much you appreciate everything she does. Pro Mom Tip: Grab a golf cart from E’s after sauntering up the hill and head out out Scheef Park for some alternate island perspective. 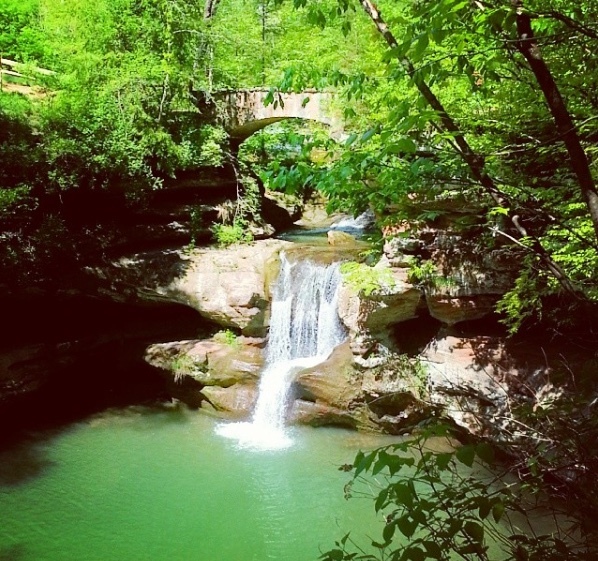 Explore the New Hiking Trails at Hocking Hills State Park — From up north at Put-in-Bay to down south at Hocking Hills, we’re all over the place and we know it. It’s fine though, just hop in the car and drive…nowhere in Ohio is that far. Especially when we’re talking about this place because it’s 100% worth this trip. They’ve also just opened a two new beautiful trail systems, something they haven’t done in 50 years. One of which will take you to the second-largest cave in Ohio. So you can help navigate your way to the freshly cut trails when you arrive, look for the names Whispering Cave and Hemlock — the two new monikers for the bridge trails connecting to the Old Man Trail System. Since we let you in on this cool news, all we ask is that you take pictures and share with us. Sound good? Perfect. 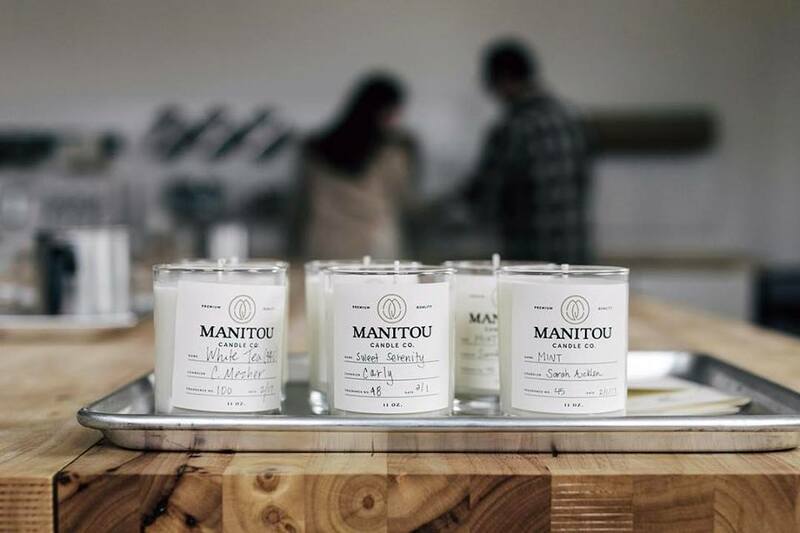 Unplug and Create Scented Soy Candles at Manitou Candle Co. — So, this place is seriously cool and your mom will not just like it, she’ll love it. This mellow, yet somehow vibrant space in the Columbia Tusculum neighborhood of Cincinnati is the perfect spot to shut off your phone and just do something different. Not only will your learn the art of making scented soy candles at Manitou, but leave with some really unique tangible memories. Learn well and smell good my friends. Explore a Small Town — Honestly, this one is tough because Ohio is chock full of really unique small towns. So instead of focusing on just one, we’ll rattle off a few. Yellow Springs is easily one of our favorites and it’s not just because Dave Chapelle lives there. 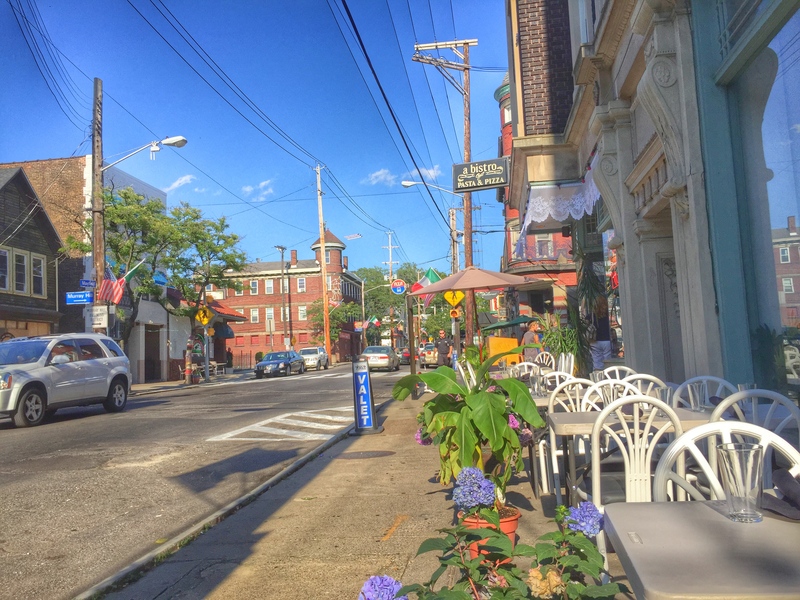 This cute town has a super mellow, almost hippy vibe that we really dig. Stroll downtown and visit Dark Star Books, Dino’s Coffee Shop or the Yellow Springs Brewery. Next up, Wooster. We’ve talked about this one before, but it’s definitely worth a revisit. Bustling with energy and what seems like a new restaurant opening every few months, this charming town is perfect for a day visit with mom. Our recommendations? Lunch at the newly renovated Spoon Market & Deli followed up by coffee and Hungarian pastries at Tulipan. If you feel like you need more time, stay in lavish quarters of the St. Paul Hotel, which just added new four new rooms for added vacancy. And last but not least, Oberlin. Of course you kind of have to hit up the Frank Lloyd House, because it’s the Frank Lloyd House. You’re going to want to grab your bike as well — Oberlin’s numerous bike trails lend perfectly to this mode of transportation. Where to eat? Try the Italian Hash N’ Eggs for brunch or The Feve Burger with pickled jalapeno at The Feve. Anything that’s pickled is fantastic. You can take that to the bank. Have something you’d like to add to this list? Let us know! PS. We love you mom. (Fair warning, there’s a Game of Thrones spoiler below. In a burger article though? I know, weird). Okay okay, they won’t actually melt your tastebuds off, but they will leave a lasting impression on them. Supremely glorious in all their beefy splendor, these carefully crafted creations will have you kneeling to the Burgered God…I apologize for that, ever since Jon Snow was resurrected Game of Thrones references just kind of slip right out. 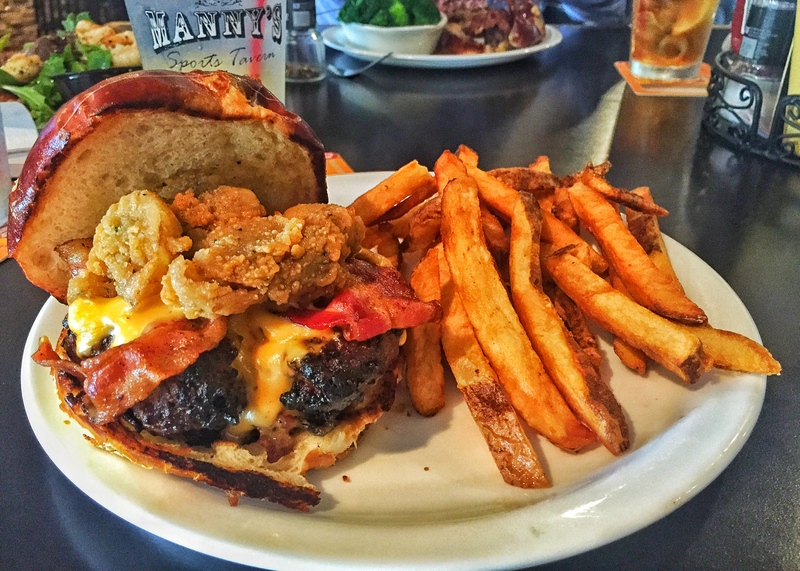 In all seriousness though, Ohio’s burger game is strong and these six are no exception. They’re actually at the top of that game. It’s not like you have to say much after looking at this photo, but try to imagine the feeling you’d get if the Cleveland Browns won the Super Bowl. That’s pretty much what the first bite feels like. You know what I’m talking about Browns fans. The Rail traded up for a first round pick on this one and didn’t select Johnny Football, but more like Russell Wilson. 50/50 all-Ohio lamb, fresh mozzarella, cucumber dill sauce, sautéed peppers & onions, lettuce and tomato — A perfect balance of succulent, sweet and cool. One of the best parts about The Rail? You can rest assured almost everything you’re munching on comes from Ohio. Beer included. Extra tip: Mike Mariola, owner of said establishment, has another delectable spot in Wooster, Ohio called City Square Steakhouse. 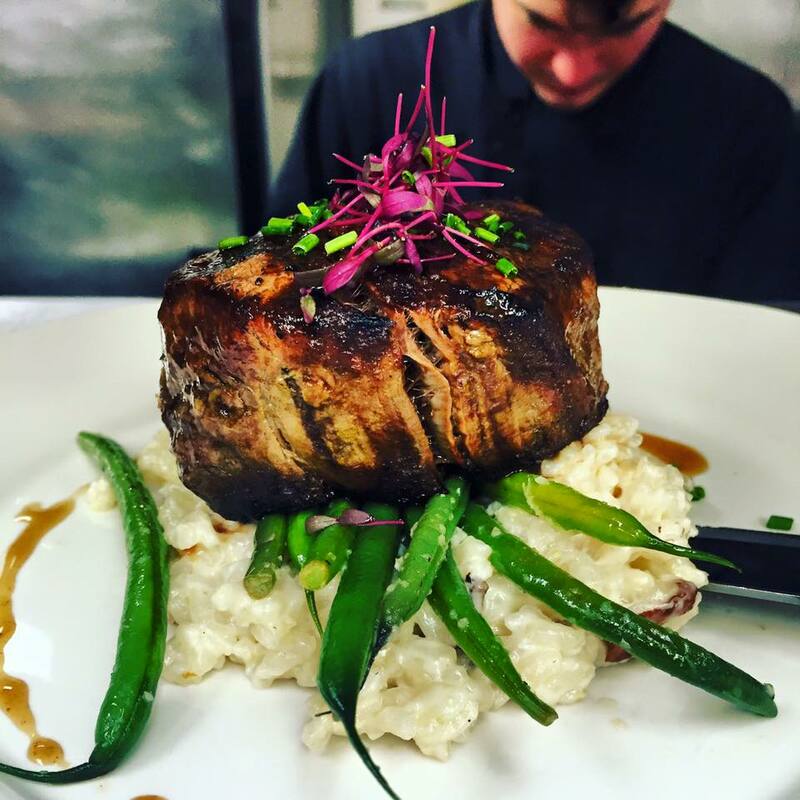 Melt-in-your-mouth type of steak situation. Seriously. (Update) – If you enjoy a nice craft beer and let’s be honest, one can’t have enough places to slug down hoppy beverages, check out the Ohio Beer Garden. Their monthly Beer Exploration Society meetings bring in Ohio brewers that shell out fresh information and beer. Pro tip: Snag the pretzel bites with your beer, you won’t regret it. Cedar Point, Put-in-Bay, Lake Erie. All great reasons to make your way to Ohio’s north coast, but I’ve found another. Cruising north on Rt. 250 just after Kalahari on your left you’ll come across an unassuming building stamped “Manny’s Sports Tavern.” Do yourself a favor, pull off the road and walk in. To be fair all of their food is fantastic; however, their burgers are off the charts, particularly the Beer Cheese Burger. Reserved as a special, this delightfully cheesy beef bomb is all about timing. Although I bet they might make it for you if you ask nicely. One can hope. Beer cheese, bacon and fried portobello mushrooms is all I have to say. Mic drop. After careful consideration I decided not to include a photo of the Thurman Burger, it’s simply too dangerous. This meaty monstrosity may just ruin your dinner, following day’s breakfast and lunch solely by catching a glimpse on the intranets. Almost world renowned at this point, the description reads like a short novel. Bottom bun, mayo, lettuce, tomato, pickle, banana peppers, 12-ounce burger, bacon, cheddar, another 12-ounce burger, sautéed mushrooms & onions, ham, mozzarella & American cheese and a top bun. Okay my fingers are tired. Just a heads up, make sure to split this work of art with at least one other person. Or two, or three. You get the gist. “You going to stand there all day?” is what you might hear if the owner Rick Volz deems your burger order procedure sub-par. Slinging insults and jokes as if he owns the place, the colorful proprietor cooks every burger to perfection himself and after tasting one, you’ll see why his slights are worth taking. While the sliders are certainly on the burger bucket list, not to mention perfect traveling companions, The Hog deserves some kind of sparkly cheese crown. 20 ounces with double cheese and double onions, there’s a good chance that this thing will punch whatever vegetables you have in your stomach right in the mouth. There would be a photo to accompany this, but I was afraid to take my phone out for fear of getting kicked out. Just teasing, it was a long time ago and I still had a flip phone. Google it! Let’s address it right off the bat. You are all correct, this is not a burger. But you know what? It sure resembles one and that’s good enough for me. They might as well call it a Bologna Burger, because that’s precisely what it is. This rule breaker has burger written all over it. 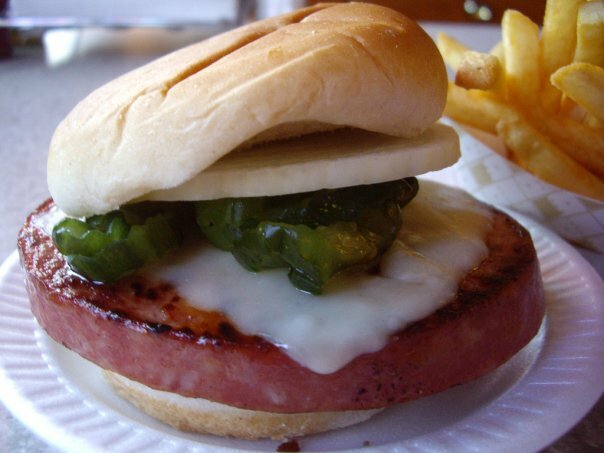 3/4 inch thick bologna that looks like it came from an overzealous butcher, melty monterey jack cheese, sweet pickles and onion make this G &R’s opus. 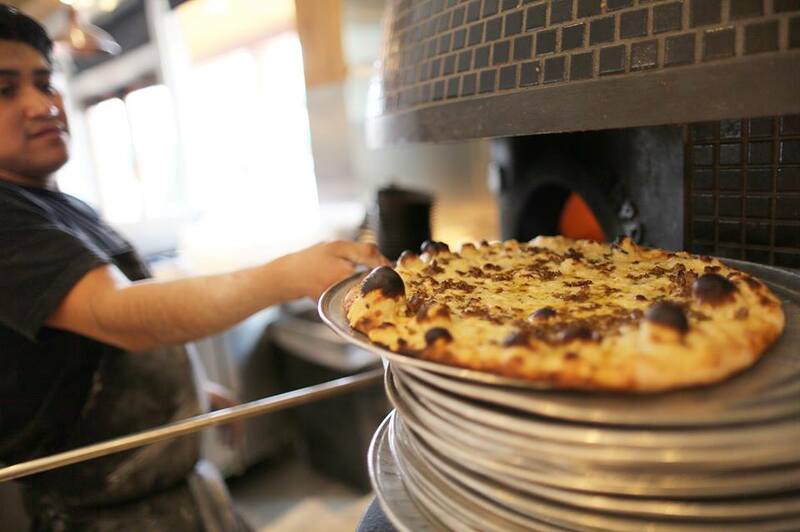 A garlicky production brought down to us from the cosmos meant to achieve one sole purpose: Satisfaction. Okay, maybe indigestion too. But it’s oh so worth it. Honestly I’ve never been here, but that’s not going to stop me from putting Terry’s on my list because it’s on good authority that this place has the absolute juiciest, most savory burgers in Cincinnati. A bewildered, food crazy friend who frequents Cincy recently said this over the phone fresh off a visit. “I’m dead serious, it’s ridiculous. Imagine a unicorn and a cow had a baby and that baby was a burger. And that burger was covered in edible diamonds.” Oddly enough the edible diamond part was the only thing I found weird. Anyhow, the burger in question was one with a burgundy mushroom sauce and swiss cheese. Needless to say a trip to Cincy is in my near future. He also mentioned there’s a lot of neon signs and that it’s a dive bar. Bonus. 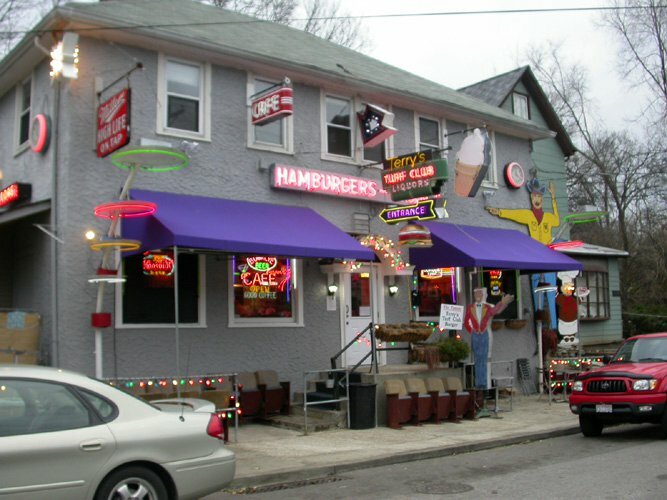 No doubt I’ve missed a ton and even had to omit some other burgers that are amazing, but if you have any suggestions please share below or on Twitter @ItsAlwaysOhio. No doubt you’ve seen a few Valentines’s Day posts pop up in your FaceBook feed a month or two ago, yet dismissed them with a procrastination that’s unfortunately present in most of us. This is precisely why I decided to come up with a few ideas four measly days before because let’s face it, we’ve all waited until now anyway. 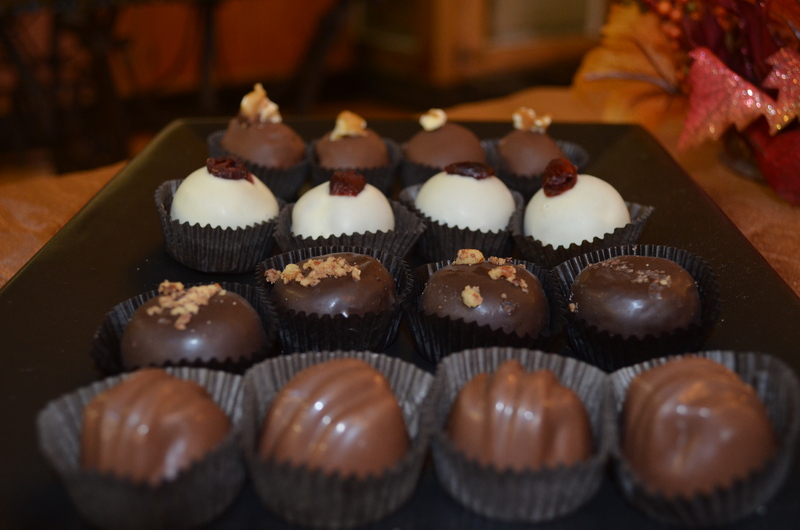 Celebrate your last minute creativity and pop on down to Wooster, Ohio for their 10th annual Chocolate Daze. Since this event runs from Friday, February 12 to Saturday, February 13, you’ll really have to beat feet. The event showcases 25+ merchants offering up confectionary specials during their regular business hours. And as a bonus you get to explore the streets of Wooster, which are undeniably sweet. Valentine’s Day doesn’t always have to involve chocolate and wine. How about the tasty tunes of a Los Angeles-based Journey tribute band collaborating with the Columbus Symphony? Time-defying power ballads are always romantic, especially “Faithfully.” Showtime is 8:00 pm on Saturday and tickets range from $25 – $68. Playing games together can be really romantic. Leaning over your loved one while you gently direct the pool cue in the right direction or taking ahold of a bowling ball at the same time during a moment on the lanes — yikes, it’s getting hot in here. The Punch Bowl offers billiards, bowling, ping pong, old school arcade games, board games, darts and shuffleboard. Combine that with a locally sourced, organic ingredient driven menu at the GastroDiner and you’re looking at a date night hit. 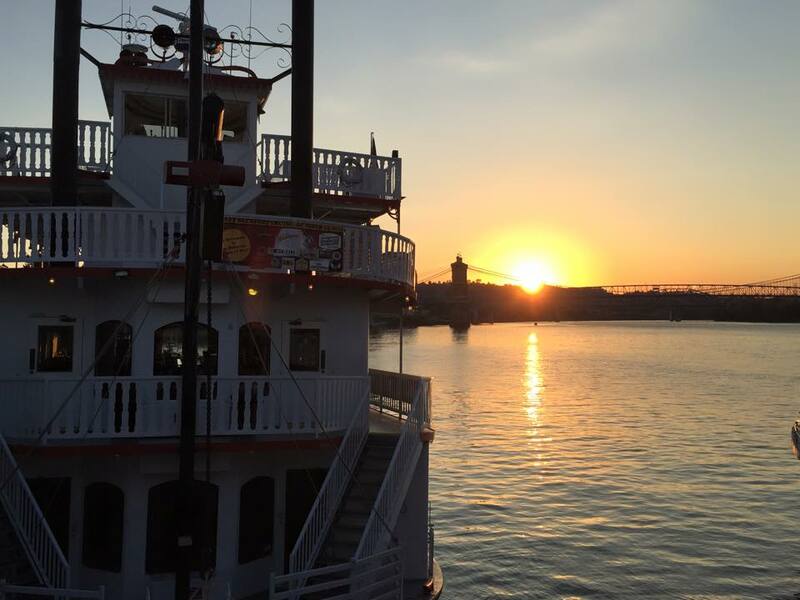 It’s tough to find something more romantic than a Valentine’s Day riverboat cruise on the Ohio River. Like the folks at B & B say, let the captain be your cupid. While I don’t usually condone buffets, the menu includes chocolate short ribs, which I’m thinking can’t be bad. Act quickly though as Sunday is the last weekend boat available. Total price for two is around $110. Much fresher than your old pickup lines, one thing will stand out here: ingredients. One of the best new restaurants in the area, The Orchard creatively prepares phenomenal dishes that are focused on natural and locally grown ingredients. Visit their FaceBook page to check out their long list of Valentine’s Day specials, which span the length of the entire weekend. I’ll put my money on the lobster-stuffed portabella mushrooms. Make sure to check out there tremendous specialty cocktails as well. 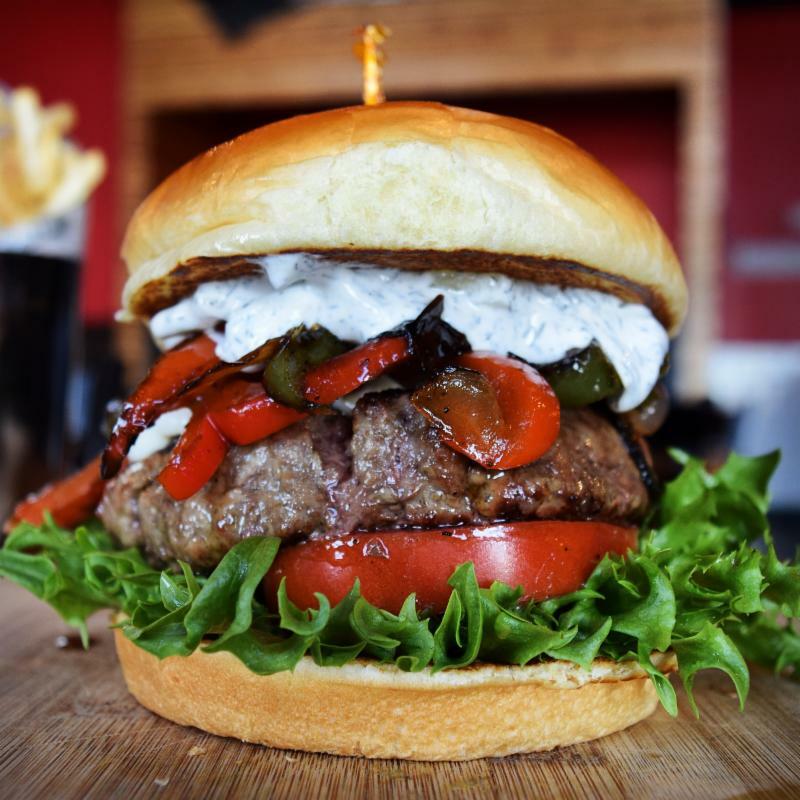 A burger and a beer may not seem like the most romantic thing ever, but c’mon, their burger of the month is called The Heartbreaker — A blend of Ohio beef & Ohio andouille sausage topped with sweet roasted red pepper cream cheese spread, lettuce and tomato. Then of course you must wash it down with a rare Cincinnati beer, which are cameoed on tap for the special month-long FeBREWary event. Painstakingly focused on all things Ohio, it makes perfect sense to celebrate Valentine’s Day Ohio-style here. Plus, who want’s to dress up anyway? Just one more suggestion, try the Truth IPA from Rhinegeist. Now this one could go one of two ways. It’s either “Wow, that’s such an ridiculously unique and fun idea,” or “Wow, you’re dumb. Let’s go eat somewhere and get chocolate afterward.” But of course you know whether or not your significant other is a beer drinker/runner, so it’ll most likely be a fairly educated decision. The race does come with a box of locally made Kilwin’s chocolates and a cold beer, so that makes it quite a bit more enticing. The 10K starts at 3:00 pm and the 5K starts at 3:15 pm. There’s also a costume contest so be sure to dress up and then head over to Brixx Ice Company for the afterparty. There’s a reason chocolate is the unrivaled Valentine’s Day king and Tre Sorelle is the perfect example why. Consistently ranked very high among the Ohio confectioner elite, these ladies really turn out the tasty truffles. Alliteration aside, I’m serious, these things are unbelievable. Merlot. Apple Pie. Raspberry Champagne. Ice Wine. Take your pick, you will not be disappointed. Or just go for the chocolate-dipped strawberries, because those always work. Is there a place in Ohio that just has be on this list? Please share below, on Twitter @ItsAlwaysOhio or on FaceBook! Making favorite lists is terribly hard, but with the new year already upon us it only makes sense to reflect on where we’ve been in 2015. So although nearly impossible, I’ve tried my best to whittle down a list of favorite Ohio spots into a mere 15. Disclaimer: 15 could’ve easily turned into 50 and there’s no rhyme or reason to the compilation, just simply locations across Ohio that we thought are swell. 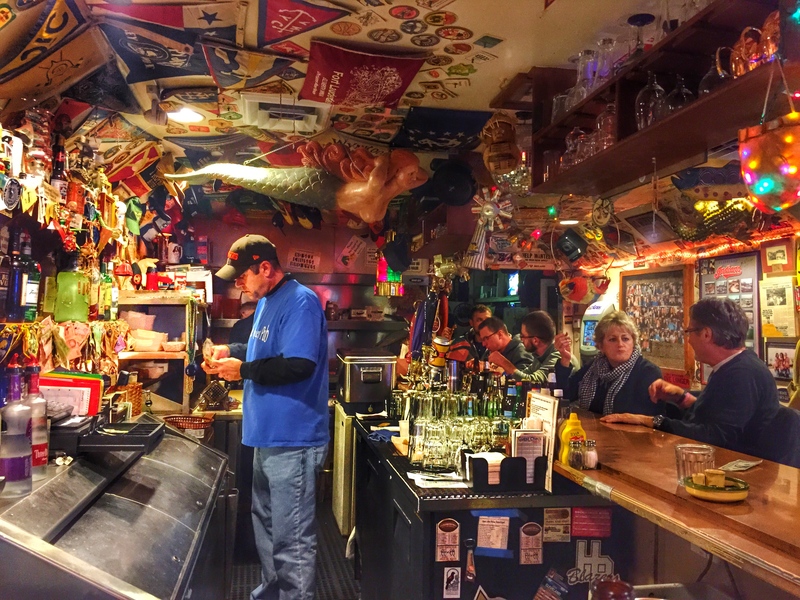 Close Quarters in Avon Lake, Ohio: With around 20 bar stools, this tiny bar certainly lives up to its name but makes up for what size it lacks in character. Packed to the gills with wacky memorabilia and old-school patron polaroids, there’s hardly a blank spot on the walls. If you’re lucky enough to find the charming proprietor present, he’ll take an aforementioned polaroid of your mug, affix it to the wall and further cement you into Cleveland tavern lore. Make sure to try the chicken wings, which are contest worthy and wash it down with a cold beer from their surprisingly large selection. Katalina’s in Columbus, Ohio: The state capitol doesn’t lack delicious breakfast spots, but Katalina’s in Victorian Village is the cream of the crop. Superbly charming with excellent outdoor patio space and locally-made goodness, I only have two other words for you: pancake balls. Seriously, their signature item is made with local stoneground flour, ridiculously tasty and filled with things like Nutella, dulche de leche and pumpkin apple butter. 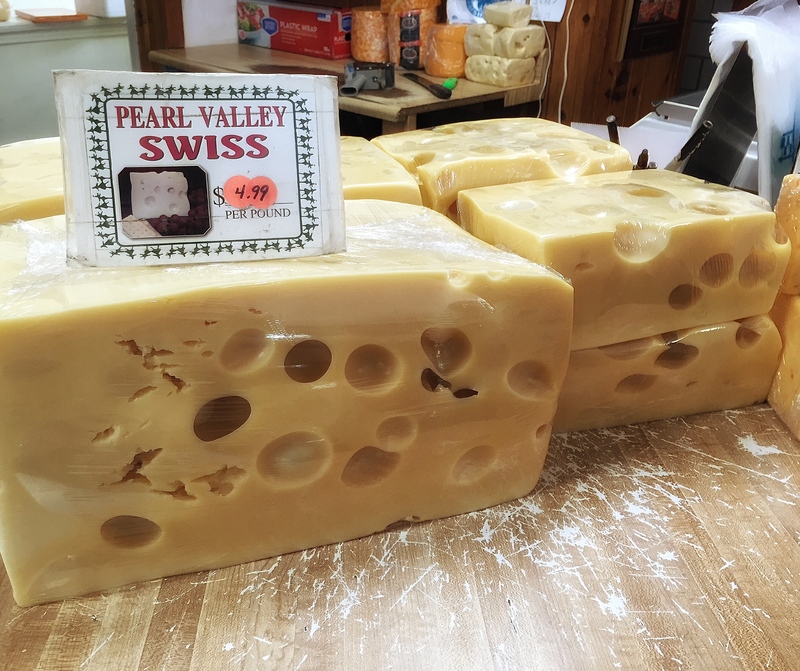 Shisler’s Cheese House in Orrville, Ohio: This old school cheese house is perfect. From Rita, the story-filled owner to the mazed aisles of homemade trail bologna and countless local treats, it almost feels like a shop that could’ve existed on the Frontier. Rifling through more cheese in a year than you’ve probably ever laid eyes on, I’m guessing the folks at Shisler’s rarely get stumped playing cheese trivia. Loganberry Books in Shaker Heights, Ohio: My first visit to this glorious gem of a book store was to hear avid budget traveler, Nomadic Matt, speak to a small group of folks about travel hacking. Independently owned and operated in the historic Larchmere neighborhood, Loganberry boasts over 100,000 volumes, which is staggering for a bookstore of this size — And we’re not talking Books-a-Million, as this place is meticulously curated with new, used and rare books of all genres. 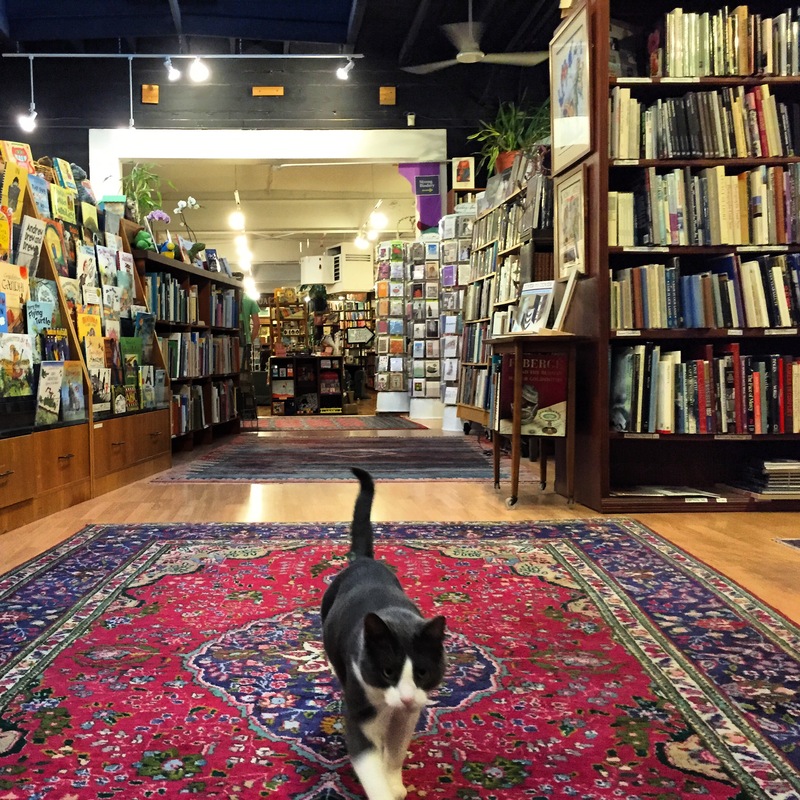 Plus any bookstore with Oriental rugs and wandering cats is fine by me. 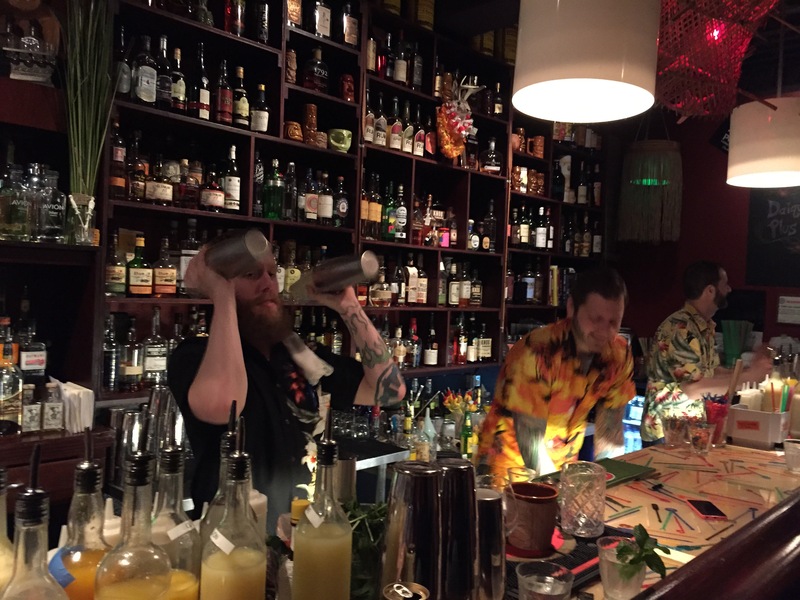 Porco Lounge in Cleveland, Ohio: Located between the historic neighborhoods of Tremont and Ohio City, this Polynesian pleasure is where patrons come to get their tiki fix and escape from the traditional midwest day. Fine spirits, fresh squeezed juices and house made mixers are intricately meshed together in a lush atmosphere to create potent, delicious libations that would make Don the Beachcomber proud. My favorite, trying to get through all the levels of Painkillers. But if you’re really feeling randy, go for the Tiki Bob’s Concussion — Careful, you’re only allowed just one. 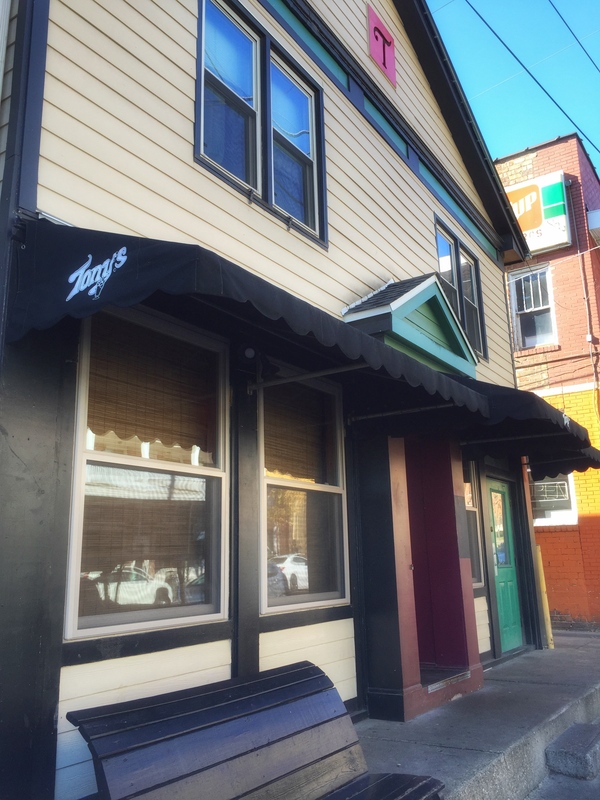 Tony’s in Athens, Ohio: Hailing from Ohio University and fresh off a recent trip down memory lane, it’s imperative that I include at least one of my 57 favorite places in Athens. Tony’s must be that place. 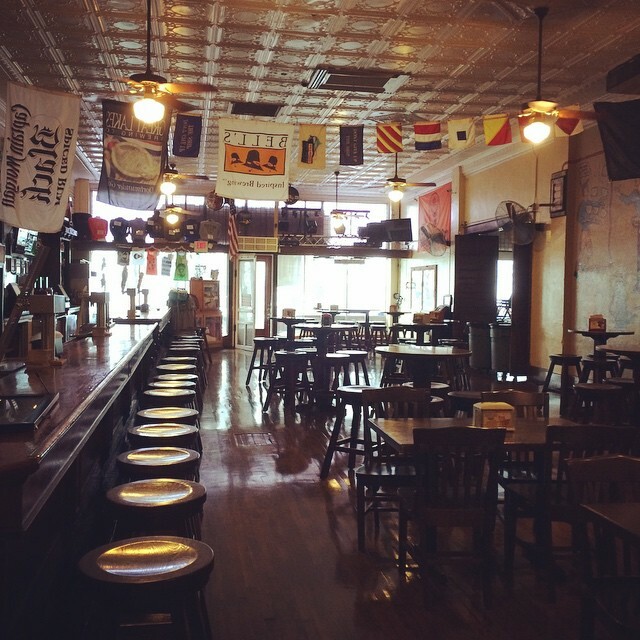 If you’re looking to relax with friends, throw some darts and have a drink in a quintessential college bar, there’s no place better watering hole. Grab a Hot Nut shot and treat yourself to some nostalgia old boy. 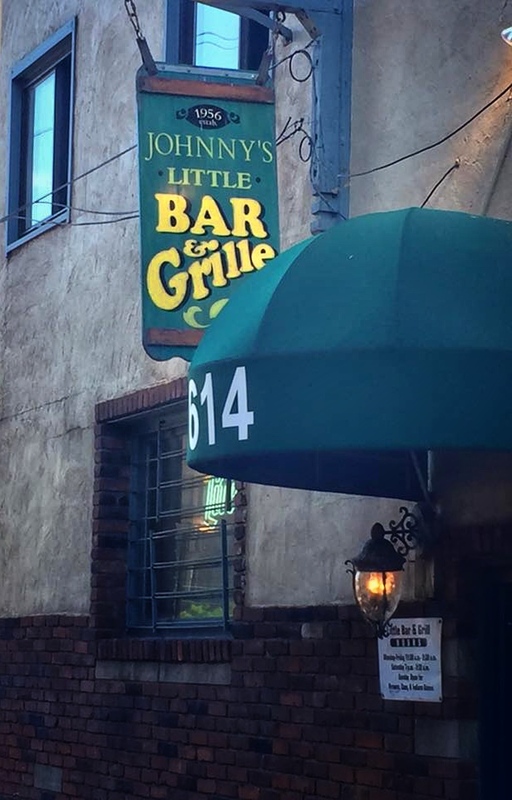 Johnny’s Little Bar in Cleveland, Ohio: Best bar in Cleveland. That is all. 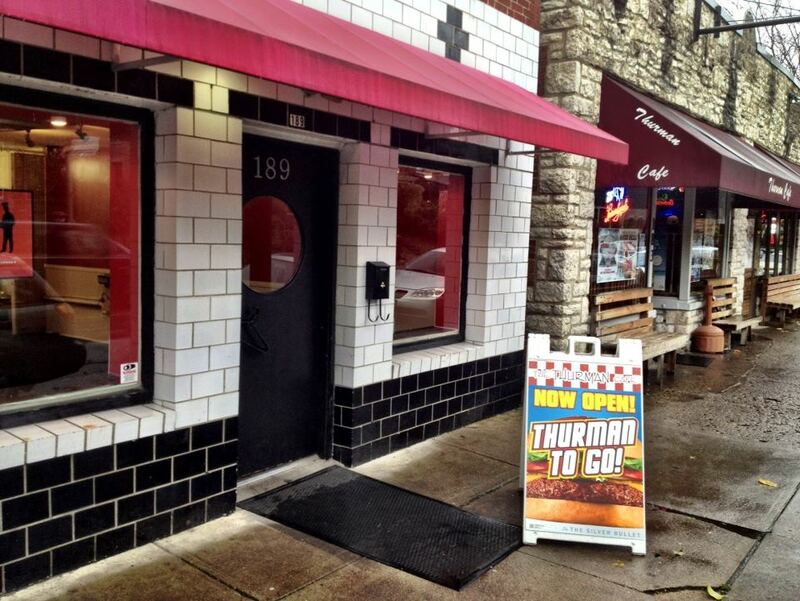 Oh yes, and try the burger in this tiny alley beer joint. My grandmother always refers to good bars as “beer joints” and I feel only the best taverns deserve such a timeless moniker. Johnny’s definitely does. Hocking Hills in Hocking, Ohio: Arguably one of the most picturesque places in Ohio, it’s nearly impossible to snap a bad photo here. 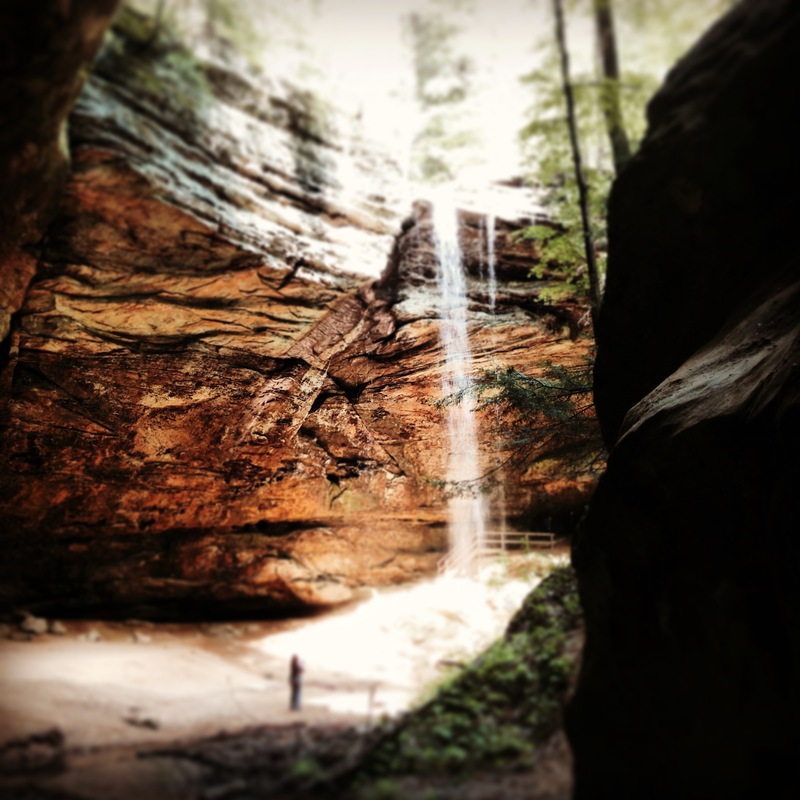 Walking around with your pup for a day at Hocking Hills almost feels like a form of mediation — Soothing waterfalls and earthy caves set amongst lush vegetation bring about something everyone desperately needs after a week at the office: peace. Don’t care much for relaxation? Zipline over the canopy I’ll be mellowing out in. 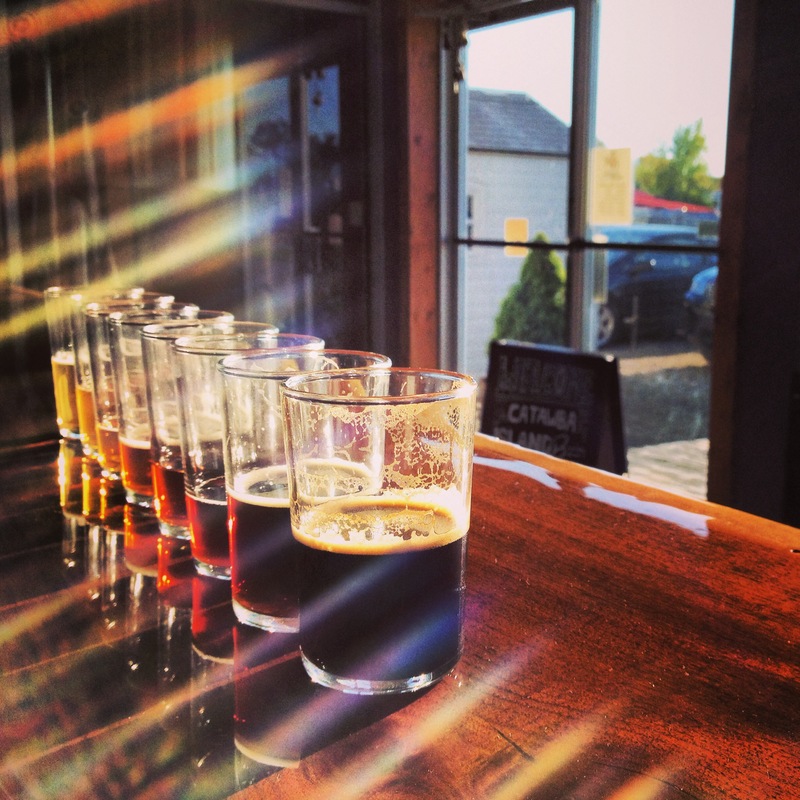 Catawba Island Brewing Co. in Catawba Island, Ohio: Convert an old marine storage facility into a really cool brewery, dish out some tasty craft beer and you have yourself a pretty sweet establishment. Sweaty summer day? Try the excellent Whitecap Wit and if you time it right, maybe you’ll get to taste their oddly delicious Habanero Hefeweizen. Old Forge Cafe & Creperie in Put-in-Bay, Ohio: Beside being the best island in the world, Put-in-bay has an array of places we could’ve included in this list but had to withhold for the sake of brevity. Honestly, best island in the world — Pretty sure it would hold up in court. Okay, now that I’ve professed my love for South Bass Island, to the Old Forge. 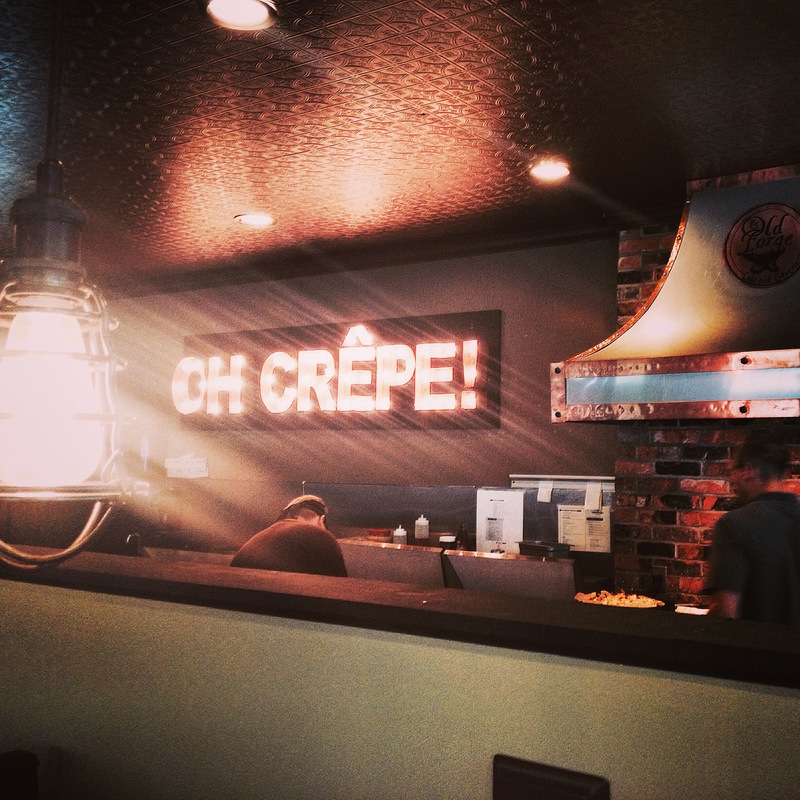 Their carefully crafted crepes (say that three times fast) taste wonderful on their own, but when you combine the unique atmosphere of a historic island blacksmith shop that’s been brought back to life, they taste even better. Plus they have an outdoor, Key West-ish garden bar with a phenomenal beer selection. Go here next summer. Just hop on the Miller Ferry and go. 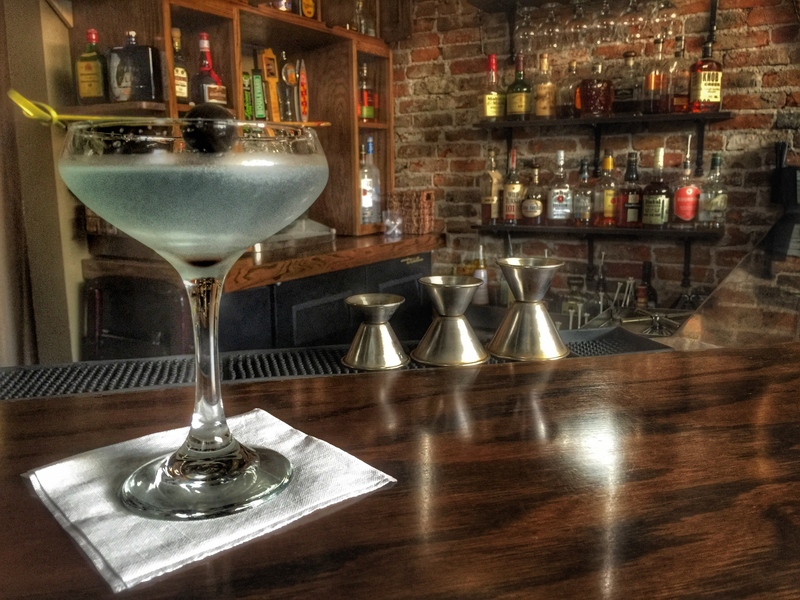 Volstead Bar in Sandusky, Ohio: If you fancy yourself a cocktail connoisseur then this place is the nines. Housed in an old brothel called the Green Door, the Volstead Bar is a perfectly executed throwback to the days when Al Capone toted illegal booze and bar patrons took immense pride in what they imbibed. With 24 seats, zero televisions and a no-cell phone suggestion, the cozy confines are excellent for those important conversations you were thinking about having at that last bar. Try my favorite if you like bourbon, the sazerac. If you don’t like bourbon, then you’re dead to me. Kidding, kidding…try the popular French 76, the English derived Pimm’s Cup or the classic Aviation. La Dolce Vita in Cleveland Ohio (Little Italy): Right in the heart of Little Italy, which is a very distinctive area as a whole, La Dolce Vita personifies what true Italian food and Mediterranean atmosphere is all about. Go for the street side cafe seats outside if the weather’s nice, however the inside of the establishment is just as unique. You can’t go wrong with the Eggplant Del Giorno for an appetizer and as for the main course, my vote goes to the Veal “Pavarotti” in a marsala wine sauce. One more thing and I’m willing to live with the finality of this statement, their sangria is the best I’ve ever had. 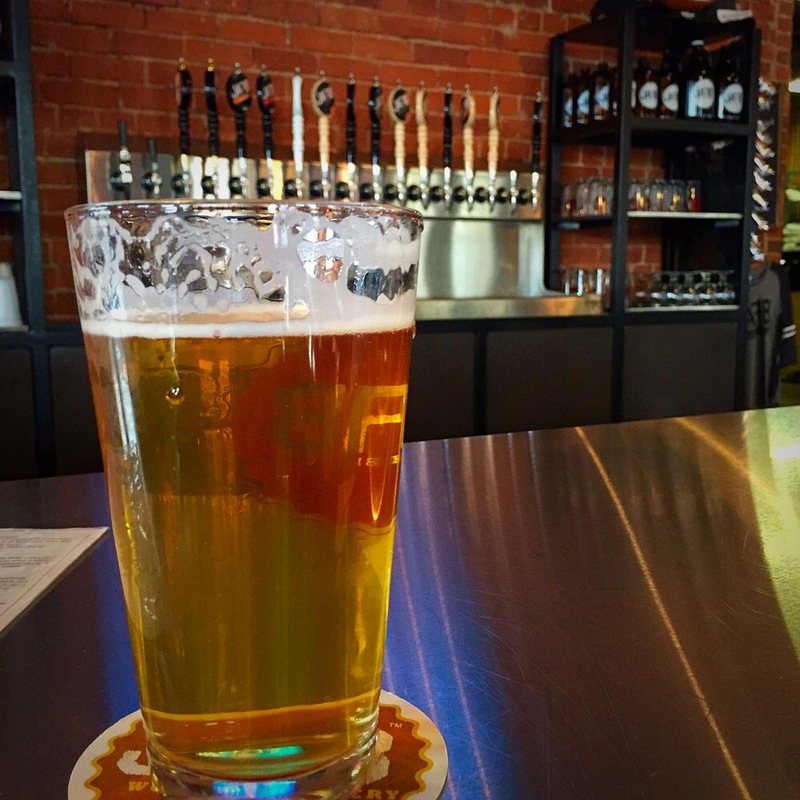 JAFB Wooster Brewery in Wooster, Ohio: There’s a good chance you’ve seen their beer if you’ve been to a Cleveland Browns game and probably a greater chance you’ve had three or four considering that’s usually what it takes to stomach our beloved NFL franchise. Ultimately though these fellas are much more than just one canned beer — These Wooster natives are brewing up some ridiculously tasty beverages, as evidenced by their recent silver medal at the Great American Beer Fest for their Rain Delay IPA. My favorite? Step Up Pale Wheat or the Mean Bourbon Bean Stout. Ultimately it doesn’t really matter which brew you choose while you’re here, I haven’t had a bad one yet. 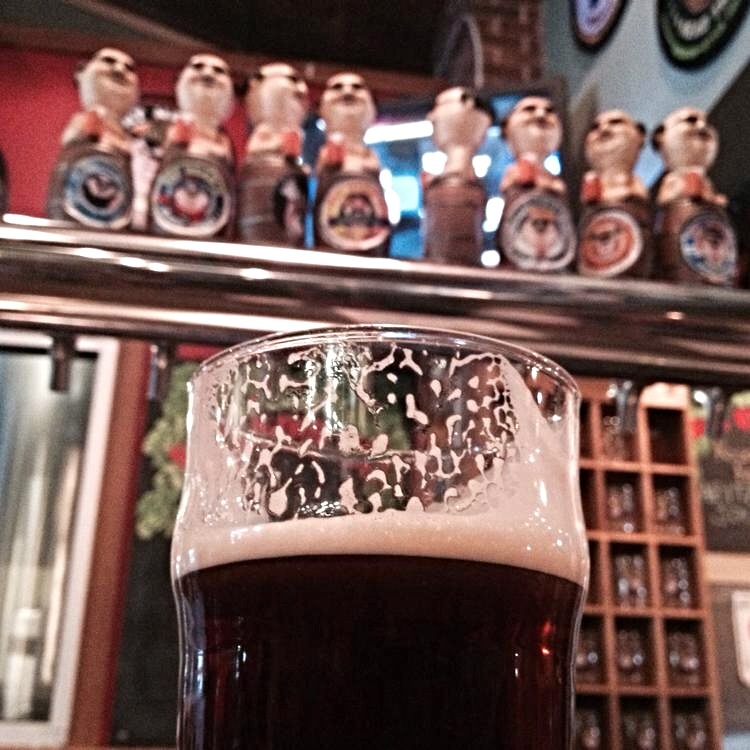 Fatheads Brewery in North Olmstead, Ohio: If JAFB is considered an up-and-coming brewery then this place would undoubtedly be considered an old Ohio staple. Year in and year out their beers are awarded gold medals at every competition imaginable and somehow just keep getting better. Beers like the Sunshine Daydream Session IPA and the Hop Juju Imperial IPA tend to be my go to’s, but much like JAFB it’s nearly impossible to find a sub-par beer. Make sure to bring your appetite though, as their delicious array of signature sandwiches are sure to be bigger than your head — Unless you have an abnormally large dome, then maybe not. The Village Pump in Kelleys Island, Ohio: Kelleys Island unapologetically does its own thing and that’s cool. 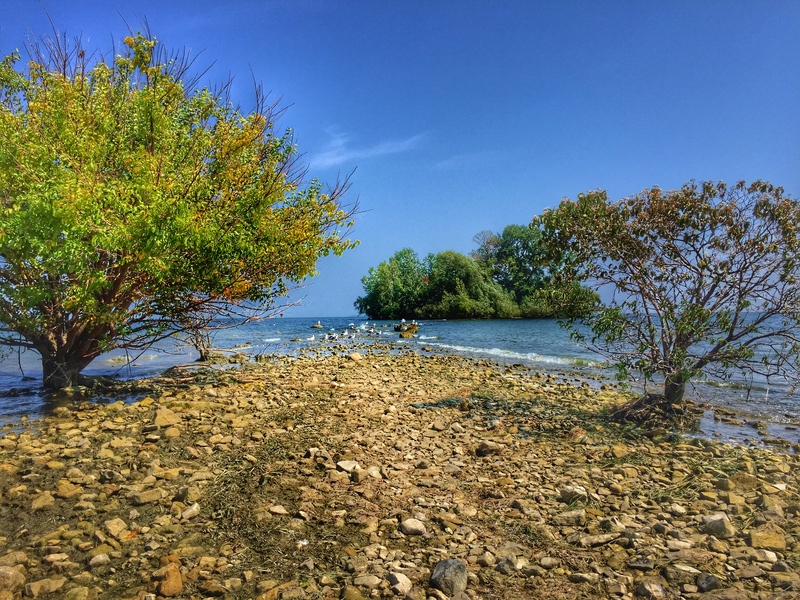 From remote white sand beaches encompassed in limestone piers and 20,000 year-old glacial grooves, to island wineries, breweries and character-laden taverns, this picturesque Lake Erie island is as unique as it is fun. With the Village Pump, there’s a huge emphasis on “character-laden tavern” part of that description as you’ll soon find out after receiving the obligatory high-five from Gary, proprietor of said establishment. 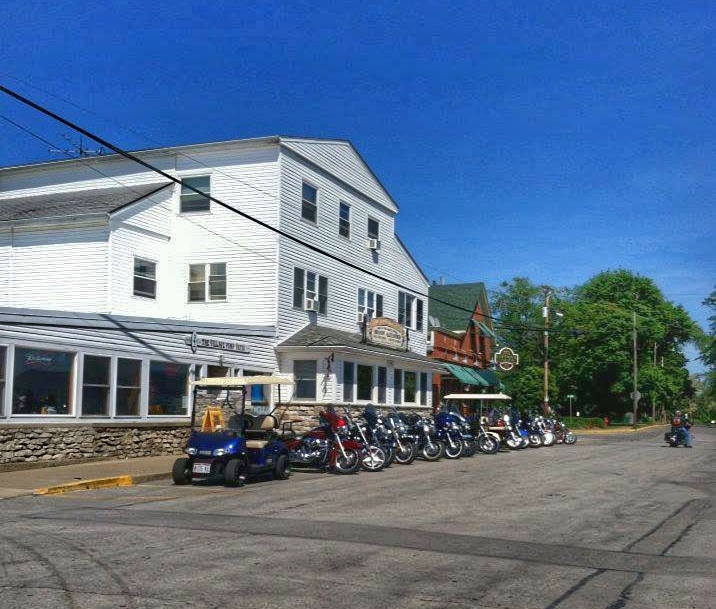 Start off with a cup of clam chowder, followed by a perch sandwich and wash it all down with their famous Brandy Alexander — that’s Kelleys Island lunch perfection right there. And if you’re feeling adventurous, head to the bar and shoot back a storm cloud. Is there a place in Ohio that just has be on this list? Please share below or on twitter @ItsAlwaysOhio.